It’s not uncommon for owners and CEOs of mid-sized businesses to set a goal of going public at some point in the future. The allure of an initial public offering (or IPO) can be strong: Going public may represent the chance to cash in on a lifetime of hard work spent building a company, or to raise a large amount of capital to fund business growth and expansion. But rushing into an IPO before a business is ready can be a recipe for disaster. A business needs to have solid financial processes, background operations and internal controls in place before it even thinks about going public. These will help lead to the kind of controlled and sustained growth that will be necessary for lasting success once the company goes public. A recent article in The Wall Street Journal1 tells the story of a business that hired its first full-time CFO with the intention of her taking the company public within one year. But soon after joining the firm, the new full-time CFO saw that the company’s finance processes and internal controls had been neglected. As a result, she says they had to do “a lot of basic building” before they could think about an IPO. According to the CFO, her goal is to transform the business into a “well-run, high-growth company with controlled, sustained growth.” This will help put the business on a solid financial footing that will hopefully lead to a successful IPO and a high valuation. “We could do an IPO tomorrow, but that’s not what we are here for,” she stated in the article. Helping make strategic decisions like this is one of the most important things a CFO can do for your business. This is true whether you hire a full-time CFO like the business in the Wall Street Journal article did or work with a part-time CFO. So what factors should go into the decision to hire a full-time or part-time CFO? The size of the business is certainly one factor, because until a company reaches a certain level of annual revenue, it can be hard to afford the compensation package required to hire a full-time CFO. One benchmark is at least $50 million in annual revenue, though this will vary considerably based on many other factors. If you determine that hiring a full-time CFO isn’t feasible yet for your company, hiring a part-time CFO may be a viable option. This can be an affordable and efficient way to gain high-level financial expertise while driving profitability, growth and shareholder value. The part-time CFO can add tremendous value to your company by delivering financial consulting on costs, profits and other high-level strategic financial analysis and guidance. § Making smart decisions about expansion and growth. Where do the best growth opportunities lie for your business? Should you focus on organic growth or growth by acquisition? If by acquisition, should it be vertical or horizontal, and what M&A targets should you be focusing on? § Securing debt and/or raising investment capital. Making sure that your company has access to financing, whether via debt or equity, is one of a part-time CFO’s most important tasks, as financing is often the key to meeting growth objectives. § Dealing with investors. If your company takes on outside investors, your part-time CFO will serve as your primary liaison with them. Investors must have confidence in your financial management team, and it’s the part-time CFO’s job to convey the team’s financial competence and strength. § Performing competitive market analysis. These strategic decisions should be made within the context of your competitive environment. A part-time CFO should be able to provide valuable insights into your company’s strengths and weaknesses in relation to your key competitors. § Strong general financial expertise. § Business and operations experience. § The ability to evaluate your staff. § Valuable business and industry connections. 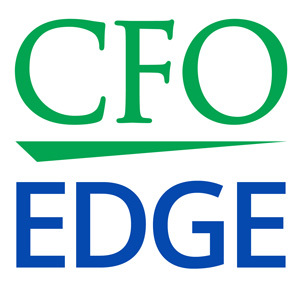 § Professionals who have served as seated CFOs at businesses like yours. If you determine that hiring a full-time CFO isn’t feasible yet for your company, hiring a part-time CFO may be a viable option. This can be an affordable and efficient way to gain high-level financial expertise while driving profitability, growth and shareholder value. A part-time CFO can work with your business in several different capacities, such as on a project or a part-time basis to provide ongoing financial and operational expertise. If you decide to hire a part-time CFO, it’s important to take the time to hire the right financial professional for your business.